The Aussiedoodle, sometimes also called an Aussiepoo, is a mixed dog breed that is more popular in the US than they are in Australia. They are a cross between an Australian Shepherd and a Poodle. Although this dog breed is not recognized by the American Kennel Club (AKC), it is recognized as a designer dog breed by the American Canine Hybrid Club (ACHC). The Aussiedoodle is also recognized by the Designer Breed Registry, the International Designer Canine Registry, and the Designer Dogs Kennel Club. Their friendly, sweet nature makes them a good fit as companions and as working dogs. They can often be found serving as therapy dogs, service dogs, and emotional support animals. Both of the dog breeds in this cross are intelligent with friendly dispositions. As such, Aussiedoodles tend to be intelligent, friendly, and affectionate dogs. This mixed dog breed is very playful and gets along well with children and other people and animals. They make great companions that are devoted to their families and love to be around their humans. Because of the Australian Shepherd in the cross, your Aussiedoodle may inherit herding instincts. If your Aussiedoodle starts showing herding behavior, it can be curbed early on by training to redirect that energy towards more positive outlets. The Aussiedoodle adapts well to change. They do well in most climates, but, as with any dog, do not typically do well in extreme hot or cold. They are best-suited for active families and homes with yards where they can romp around. Aussiedoodles can do well in apartments, as long as they get enough exercise, mental stimulation, and attention. However, they do not like to be alone for long periods of time and they can develop separation anxiety. If you do have to leave your Aussiedoodle alone, make sure to leave them plenty of challenging toys and puzzles to keep them occupied. Although sometimes mixed breeds win the genetic lottery, they can also sometimes be prone to the health conditions common to both of the parent breeds. The Aussiedoodle is generally a very healthy dog, but some common health issues to be aware of include hypothyroidism, hip dysplasia, deafness, and epilepsy. Checking the genetic history of the parents and asking for the results of any health screens can give you an idea of what to expect in a puppy and allay any health concerns. The Aussiedoodle is known for being an intelligent crossbreed. This often makes them highly trainable. They are also sensitive to training and eager to please, which means they respond best to positive training techniques focused on rewards and praise. 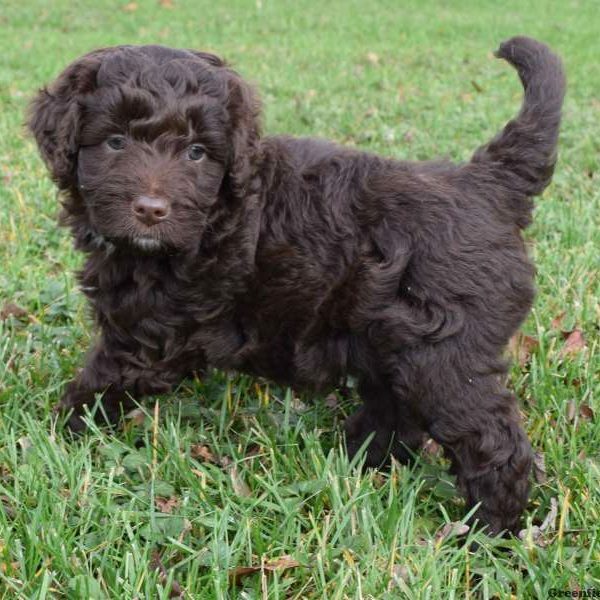 Early socialization and training help your Aussiedoodle puppy grow into a well-adjusted dog. Due to their high energy level, they tend to be a better fit for intermediate to experienced dog owners that know how to handle their energy and keep up with them. Their intelligence, paired with their high energy level and working group background, means they are often easily bored and do best when they have a job to do. The busier and more engaged their job keeps them the better. They also love learning new tricks! Without a job to do, they will find ways to entertain themselves, which can result in unwanted or even destructive behavior. Between the Australian Shepherd and the Standard Poodle, the Aussiedoodle coat colors and patterns vary greatly. 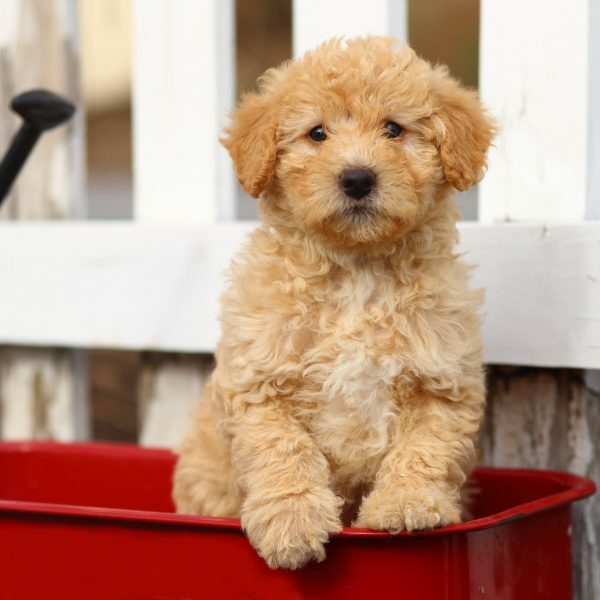 With the Poodle in the mix, this mixed dog breed can pick up some hypoallergenic qualities and is often low-shedding. However, they have can long, straight fur, a curly coat, or something in the middle, so be prepared for regular grooming to prevent tangles and matting. Depending on the coat type, you may need to brush your Aussiedoodle’s coat every other day to comb out tangles, prevent matting, and keep their coat healthy. You may also need to have them professionally groomed every 2-3 months. 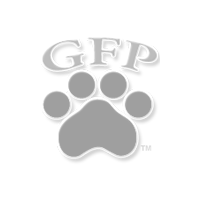 Start getting your puppy used to you handling their paws and ears and brushing their teeth early on. You’ll need to trim their nails monthly and also check their ears regularly. It’s also important to brush your dog’s teeth regularly to keep their gums and teeth healthy. Daily brushing is ideal to keep tartar buildup at bay. An Aussiedoodle will generally have a moderate to high energy level. A good walk a few times a day paired with some active playtime and plenty of attention will keep this pup happy and healthy. Aussiedoodles are also active and athletic enough to compete in dog sports. They tend to be a good fit for flyball, agility, rally, and obedience. They may also love to swim, which is a great activity to help them expel extra energy. In addition to going swimming with your dog, you can also take your Aussiedoodle on a hike with you or on trips to the dog park. Aussiedoodles are medium-sized dogs that can stand between 20 and 23 inches at the shoulder and can weigh between 40 and 70 pounds. Looking at the size of the parents, particularly the mother, can give you a good idea of what size to expect in your Aussiedoodle. An Aussiedoodle will generally live 10-12 years. Aussiedoodles are fantastic companions and highly intelligent. So much so, they are fondly referred to as “canine Einsteins”. Welcome to the Aussiedoodle puppy page. This mixed breed of canine is a cross between the Australian Shepherd and Standard Poodle. To determine what to expect in regards to health and temperament, owners should research both breeds. The Australian Shepherd is a herding class dog which needs plenty of exercise. The Standard Poodle is a Companion breed that makes a great family pet.